Amazingly, roughly 4,000 types of bees are native to the United States. This isn’t even counting the honey bee which is the primary bee species farmers rely on to pollinate their crops. Most likely, the honey bee originated in Asia or Africa, and was brought into the U.S. by early European settlers. Worldwide, raise the number of bee species to about 25,000, and what we have is a dizzying array of bees — and another example of the wonders of nature at work. Bees come in many different shapes and sizes, and exhibit a broad range of behaviors. Here are just of the few of the ways that bees differ from one another. The size of bees: Some bees are relatively big and others are tiny. The smallest bee in the U.S., for example, Perdita minima, is only about the size of a carpenter bee’s eye. 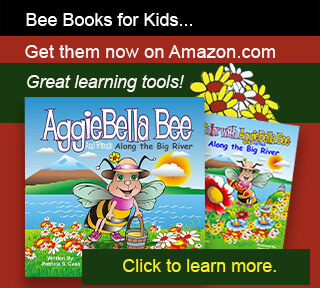 Bee colors: Some bees are adorned in brilliant colors, others are a bit less showy. Bumble bees, for instance, are well known for their black and yellow colorations. The lesser known orchard bee comes in a glittering blue. And, many of the bees that belong to the Halictidae family (otherwise known as sweat bees), are graced with shades of metallic greens and golds. Where bees live: Bees make their homes in a lot of different places. Miner bees, for example, make their nests in cavities at the end of tunnels they dig underground. Mason bees make their homes in small, pre-existing tree holes, while carpenter bees chew through wood to create their own holes. And “domesticated” honey bees, as everyone knows, live in beehives. But in the wild, honey bees typically build their homes in hollowed-out tree logs and tree cavities. How bees work and socialize: Some bees prefer working on their own, like the mason bee, while others, like the honey bee and to a lesser extent the bumble bee, like to live and work together within social networks. What bees pollinate: Gardeners in particular, might be interested to know that different types of bees make better pollinators for certain types of flowers. For example, bumble bees do a terrific job of pollinating tomatoes, which is a plant typically shunned by the honey bee. Honey bees also don’t do as well when it comes to pumpkins and other types of squash. It’s a good thing then, that there’s a “squash bee” which is well-suited to the job. Bees are efficient foragers: Though they may pollinate different types of flowers, all bees are pollinators … that is, they spread pollen from one flower to the next as they go about their daily activities of collecting pollen and nectar. Yellow jackets and wasps are not bees: Bees descended from wasps about 125,000 years ago, but unlike wasps and yellow jackets, bees are vegetarians, not meat eaters. (It’s unfortunate that so many people mistake bees for yellow jackets, because bees are generally not aggressive unless provoked). 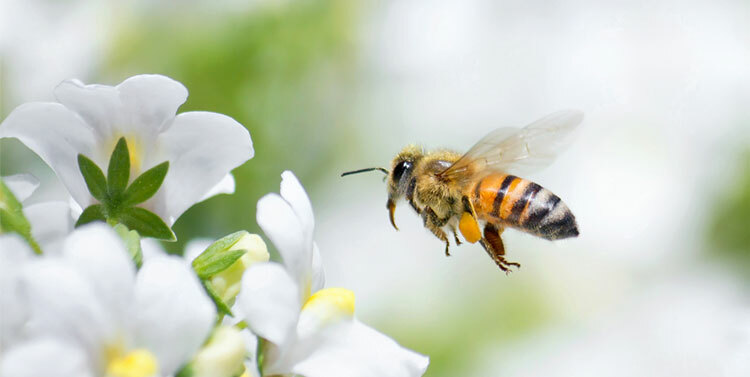 Bees have a common anatomy: All bees have two antennae that they use to touch and smell, two pairs of wings that are hooked together, and three pairs of legs. Only the female bee has a stinger. Our food supply depends on bees: Bees are responsible for pollination required by at least 35 percent of the fruits, nuts and vegetables grown in the U.S. Bees help to create the colors that we see in nature: In addition to pollinating our food sources, bees pollinate roughly 250,000 flowering plants worldwide. Bees need our help: Bees are in trouble worldwide due to a range of issues including the mis-use of pesticides, loss of habitat, disease and other factors. Seven to ten of the 25,000 known species of bees worldwide are honey bees. The honey bee species that beekeepers keep in the U.S. are the Western or European honey bee. Other known species include the Dwarf honey bee, East Asian bee, and the Giant honey bee. Some beekeepers in the U.S. are beginning to experiment with keeping bees other than honey bees. They believe doing so may help to offset problems related to declining honey populations. The mason bee is one such type of bee. We invite you to read more about the many types of bees by visiting other bee-related websites to which this website links, as well as the links below.